Preview images and guest cast list for the NCIS: Los Angeles episode "Liabilities"
Callen and Sam pull Granger’s daughter, former spy Jennifer Kim (Malese Jow), from witness protection to help the team locate an underground spy who has obtained an arsenal of bomb materials, on NCIS: LOS ANGELES, Sunday, March 18 (9:00-10:00 PM, ET/PT) on the CBS Television Network. "Liabilities" - Pictured: Chris O'Donnell (Special Agent G. Callen) and LL COOL J (Special Agent Sam Hanna). 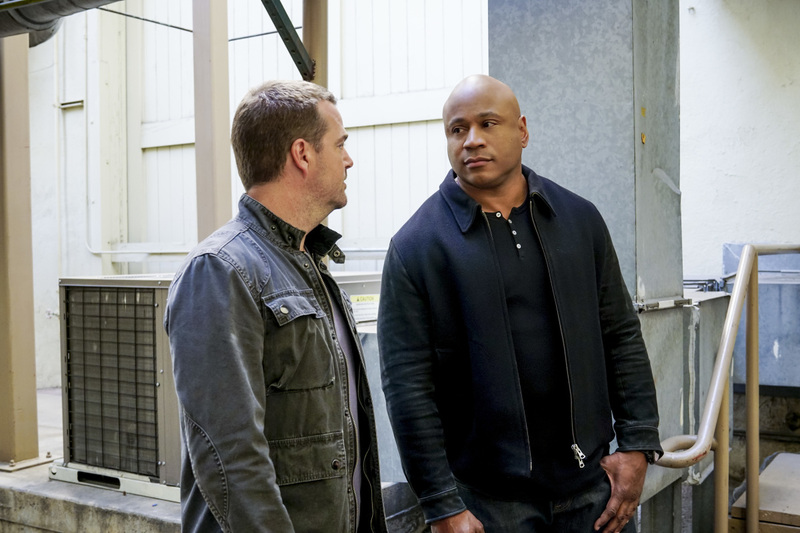 Callen and Sam pull Granger's daughter, former spy Jennifer Kim (Malese Jow), from witness protection to help the team locate an underground spy who has obtained an arsenal of bomb materials, on NCIS: LOS ANGELES, Sunday, March 18 (9:00-10:00 PM, ET/PT) on the CBS Television Network. Photo: Monty Brinton/CBS ÃÂ©2017 CBS Broadcasting, Inc. All Rights Reserved. Recurring cast appearing in the episode includes Andrea Bordeaux as NCIS Special Agent Harley Hidoko. Guest stars in “Liabilities” includ eMalese Jow (Jennifer Kim), Jun Hee Lee (Eric Park), Matthew Atkinson (Keith Stiger), La Monde Byrd (Patrick Griffin), Erin Pineda (Barbara Silva), Matthew Downs (Rocky), and Duncan Campbell (NCIS Agent Castor).